Two different approaches to administering Google Apps for Education in a school -- both effective! Jan Iwase, principal of Hale Kula Elementary School located at Schofield Barracks, O'ahu, has dived right in with student projects. 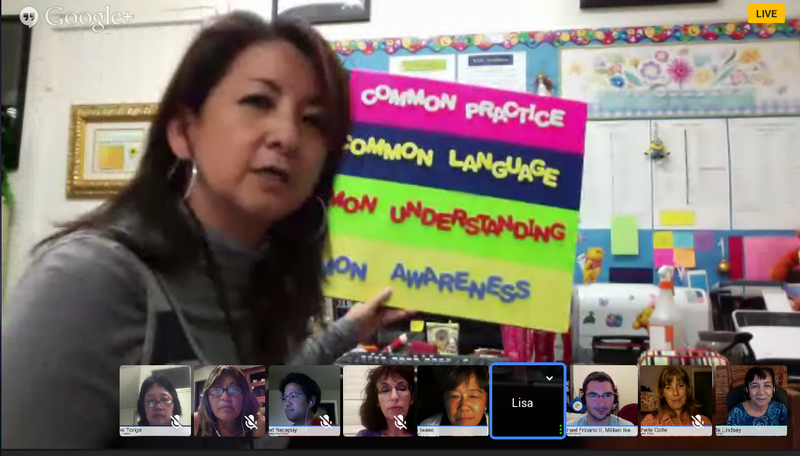 Lisa Nagamine, principal of Moanalua Middle School located near Honolulu, is training her teachers thoroughly first. Mahalo to Chad Nacapuy for suggesting that we bring these two progressive, connected educators on Google Rocks! Hawaii HOA. In addition to Jan, Lisa, and Chad, these Hawaii teachers rounded out the panel: Jody Brown, Michelle Colte, Michael Fricano II, Holly Gates, Barbara Potts, Anne Torige, and myself. It was a full house! I had asked Jan and Lisa to outline what they planned to share. The document they produced is full of great information for schools going GAFE: Two Administrators, on GAFE at their school. Here's the hangout. I think you will be impressed by Jan and Lisa's passion. They are superb examples of what's right in education. Their students are truly fortunate. Next week, we'll be recommending Google+ Communities that we think our Hawaii (and other) teachers will enjoy as they build their PLN (Personal Learning Network). Google just announced it on Monday, November 4 and the community is electric with teachers eager to connect. I was thrilled beyond measure to learn that my Google Teacher Academy buddy Brent Catlett is a moderator. The community's purpose according to Google? We've created this Community to empower educators to collaborate with one another, share resources, develop best practices, and bring their big ideas to life through technology. Please join us November 13 at 7:00pm HST for Google Rocks #13 Hawaii HOA: Google+ Communities for Educators.